We live in a world where, thanks to things like social media and Photoshop, it feels like we are constantly under a microscope--and celebrities are no exception. Khloé Kardashian recently opened up about how she did not struggle with body image until her life was made public by her family's reality show, Keeping Up With The Kardashians. Kardashian admitted she, "never, ever considered myself chubby or overweight" until she was thrust into the spotlight. “I didn’t know that I was until I went on TV and everyone told me that I was fat,” the 34-year-old-star said in an interview with Stellar magazine that was released yesterday, Feb. 9. So, what is the Strong Looks Better Naked author doing to break the cycle of celebrities dealing with negative self esteem? She's starting by encouraging body positivity in her own home with her nine-month-old daughter, Truth, whom she shares with Tristan Thompson. “As silly as it sounds, I do positive affirmations with her in the morning,” said the new mom. Kardashian emphasizes the importance of passing on positive messages to her young daughter through saying things like "I am beautiful!" into the mirror with Truth. 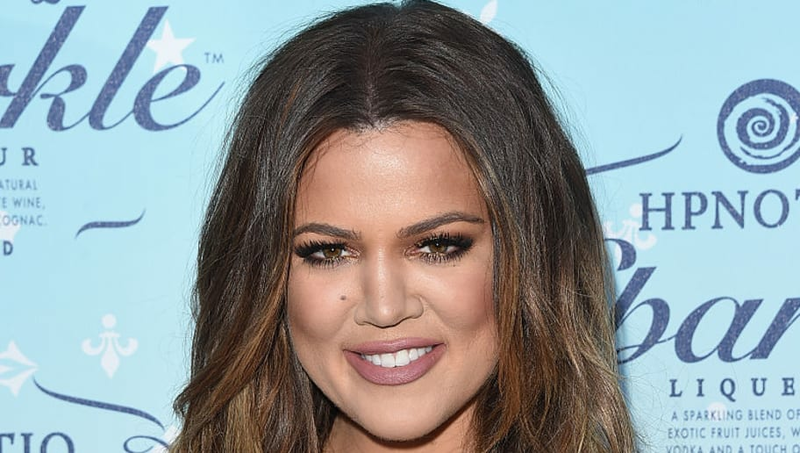 Poor self esteem is a huge issue with people, even celebrities, today, and we're glad to see Khloé taking such important steps to break this cycle!